Thanos (Josh Brolin) has one goal – to obtain all six Infinity Stones. Whoever possesses all the stones will be the most powerful being imaginable. With the snap of his fingers, Thanos will be able to wipe out half of the population of the universe. With his children, known as the Dark Order, Thanos begins his quest to find all the stones. When word gets to the Avengers that Thanos is coming to Earth, they spring into action. Tony Stark (Robert Downey Jr.), Dr. Strange (Benedict Cumberbatch), Peter Parker (Tom Holland), Captain America (Chris Evans), Black Widow (Scarlett Johansson), and T’Challa (Chadwick Boseman) will do everything in their power to stop Thanos from obtaining any Infinity Stones on Earth. Meanwhile, Thor (Chris Hemsworth) and the Guardians of the Galaxy (Chris Pratt, Zoe Saldana, Bradley Cooper, Dave Bautista, and Vin Diesel) work to secure the Infinity Stones in space. With the fate of the universe in the balance, the Avengers must stop their most dangerous enemy. Avengers: Infinity War represents ten years and eighteen movies in the making. There are so many major events in the film that I will only confirm what information is readily available in the trailers. That said, if you can avoid the trailers and go into the movie blind, that is the best way to experience it. Just about every character the Marvel Cinematic Universe has introduced over the past decade makes an appearance in the biggest superhero movie of all times. The cast delivers in every aspect you can imagine. It really is amazing just how many big personalities the Russo brothers were able to squeeze into this film. They each have just enough time to shine through. Josh Brolin’s Thanos really is the “star” of the film, though. We haven’t learned too much about Thanos’ past or how he became the feared Mad Titan aside from a brief mention here and there. Infinity War gives us some insight into his backstory to see where he came from and shows just how ruthless he is on his quest. Avengers: Infinity War is the movie we have all been waiting for since Tony Stark built his first Iron Man suit. It is a nonstop, intense, fun movie with heart and some serious stakes. 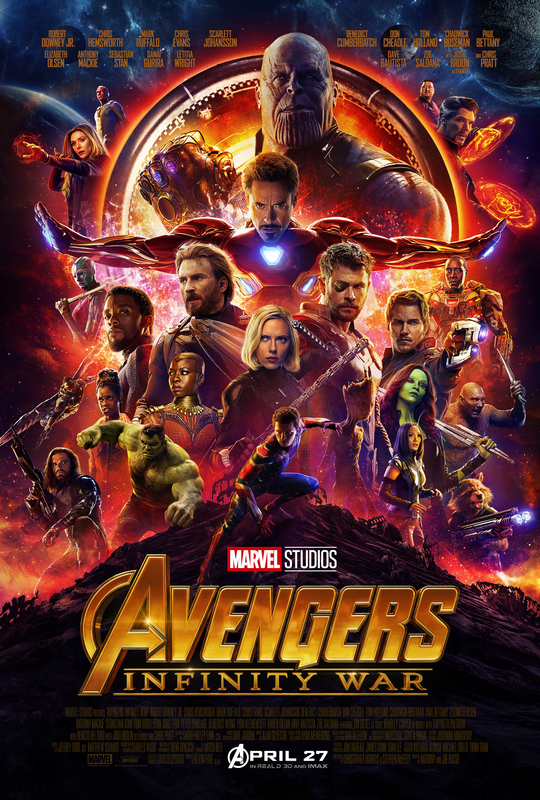 The pace of the movie makes the two and a half hour run time fly by, making you wish they had combined this movie and next year’s Avengers movie – an obvious part 2 – as one long epic film. It helps if you are up to date with all the Marvel movies, especially Thor: Ragnarok, to fully understand everything that is going on. But if you have missed a couple here and there, you should be fine. Obviously, this is a movie you won’t want to miss. I would recommend seeing it as soon as possible to avoid any spoilers that are bound to find their way to the internet. My only complaint about the movie has nothing at all to do with the movie itself. After you’ve seen the movie, let me know what you think and I will tell you what bothers me most about it.